Liposuction is a procedure that makes it possible to enjoy a more sculpted, contoured body with the targeted removal of stubborn pockets of fat. One of the most stubborn areas of fat is under the chin because this area often doesn't respond to diet and exercise. Dr. Brian F. Burns offers liposuction for the chin at his practice in along with other procedures to enhance the appearance and help patients achieve their desired look. To find out if liposuction for the chin is right for you, we welcome you to schedule a consultation at our Victoria, TX practice. What Issues Can Chin Liposuction Address? Chin liposuction can address troublesome fatty areas around the chin, jawline, and neck by surgically removing unwanted fat, especially when diet and exercise are unable to provide the desired results. A double chin is one of the most common issues addressed with chin liposuction. Through chin liposuction, unwanted fat beneath the chin can be removed, helping to eliminate a double chin. In addition to eliminating a double chin, chin liposuction can also be used to contour the jawline and reduce fat within the neck. Chin liposuction, also called submental liposuction, involves the removal of stubborn fat from the chin, jowls, and neck. 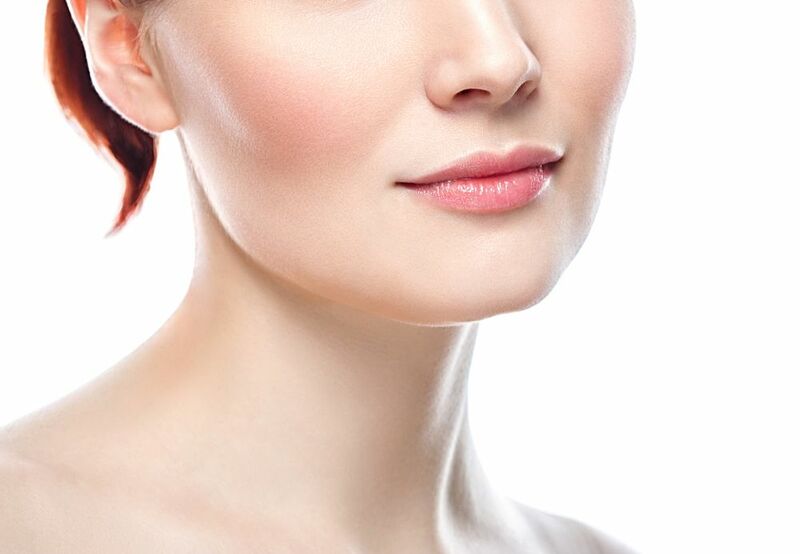 By strategically removing fat from these areas, chin liposuction helps create a more contoured chin and jawline. The chin liposuction procedure is minor enough that it may be performed under local anesthesia. During the procedure, small incisions are made under the chin and sometimes behind the ears. Next, a cannula, which is a tool used during liposuction, is placed into each incision one-by-one and used to suction out unwanted fat. Once the desired amount of fat is removed, the incisions are sutured closed. After the procedure, a wrap will be placed around the chin and head to support the tissues as the body heals. Patients should expect to experience some pain, although most find it mild and resolved within a week, following chin liposuction. Pain can often be managed with doctor approved over-the-counter pain medications. Swelling is common after chin liposuction and will lessen as the tissues heal. In some cases, it can take several months for swelling to completely resolve and for the full effects of treatment to be realized. After chin liposuction, patients should plan to take about five days to a week off from work to allow themselves time to recover. Although a full recovery can take several more weeks, most are recovered enough after about a week to return to their daily routine. However, strenuous activity and heavy lifting should be avoided until cleared by a doctor. Also, during the first week of recovery, it is important that patients wear a supportive head-wrap under the chin during the day and while sleeping. Wearing a head-wrap is important because it can reduce swelling and help the tissues conform to their new position. After about a week, head-wraps will only need to be worn at night for an additional week or two. Is Chin Liposuction Right for You? If you have been unable to get rid of stubborn fat around your chin and neck despite diet and exercise, chin liposuction may be right for you. Chin liposuction is highly effective at eliminating unwanted fat from the chin, neck, and jawline. To find out if you're a candidate for chin liposuction, please call (361) 576-1975 to schedule a consultation.